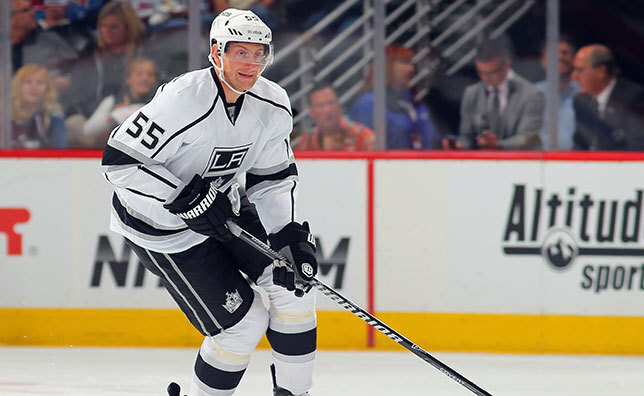 LOS ANGELES – The Los Angeles Kings have recalled defenseman Jeff Schultz from the American Hockey League’s Manchester Monarchs and have assigned forward Tanner Pearson to Manchester, Kings President/General Manager Dean Lombardi announced today. Schultz, 27, has appeared in 23 games for the Monarchs this season, recording two points (1-1=2) and six penalty minutes. Schultz, who signed with the Kings as an unrestricted free agent on July 5, spent the previous seven seasons with the Washington Capitals. He will wear No. 55 with the Kings. Pearson, 21, appeared in six games with the Kings, recording one goal (his first in the NHL) and zero penalty minutes. Pearson has also played in 15 games for Manchester this season, recording 11 points (7-4=11), eight penalty minutes a plus-8 rating. The Kings (17-7-4 record) play the Ducks in Anaheim tonight, with game-time slated for 7 p.m. The game will be broadcast on FOX Sports West and KTLK, with coverage beginning at 6:30 p.m.